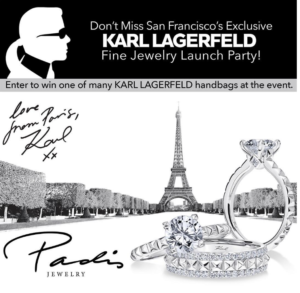 French fashion icon Karl Lagerfeld is teaming up with Padis Jewelry to showcase his new wedding jewelry designs at a special event in San Francisco. 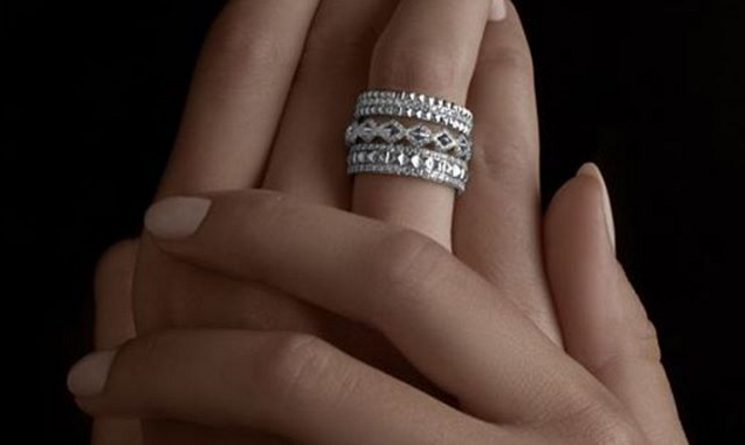 In celebration of the launch, Padis Jewelry will host a red carpet celebration on Saturday, March 25th at their 888 Brannan Street location in the San Francisco Gift Center from 11am – 4pm. The in-store event will feature live music, canapés and sparkling wine. It is a chance for guests to have an up close and personal look at the new line. Top fashion bloggers will be present to share style advice and offer sweet treats and a chance to win one of many Karl Lagerfeld handbags and accessories.